The event formerly known as the Chestnut Hill Harry Potter Festival, which has drawn tens of thousands of Hogwarts fans to Germantown Avenue each October for the last seven years, has a new name. In June, Warner Bros. cracked down on Harry Potter festivals, restricting the use of any terms and imagery from the books for profit. 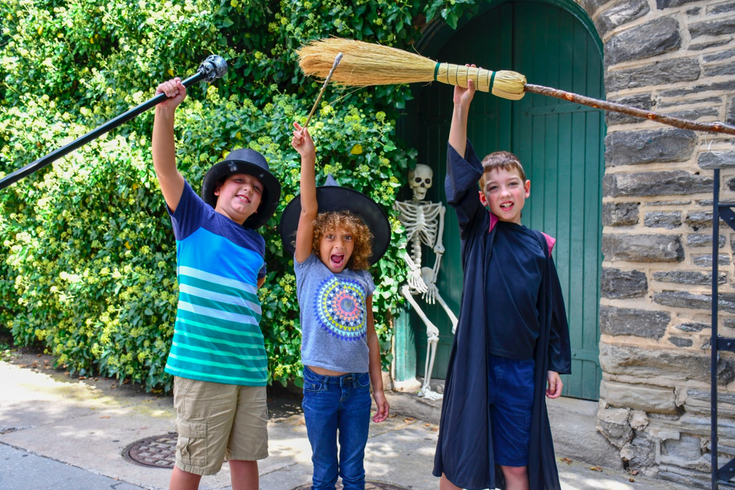 The annual Harry Potter Festival in Chestnut Hill, which draws tens of thousands of fans each October, had to change its name to the Witches & Wizards Festival. Today, the date of the new event has been announced. The family-friendly, free festival will take place Saturday, Oct. 20, from noon to 5 p.m.
Below are the details we know, so far. The annual Philadelphia Brotherly Love Cup Quidditch Tournament will still take place. It will be held at Chestnut Hill College between 10 a.m. and 4 p.m., and is free to attend. Also, the Woodmere Art Museum's straw maze, an annual favorite for kids, will return. Tickets, available for pre-purchase, are $5 for children. This year, there will be outdoor aerial performances and circus acts at the museum too, beginning at 2 p.m.
On Germantown Avenue in Chestnut Hill, there will no longer be activities in the street. In 2016, the Harry Potter Festival expanded from the sidewalks to a 10-block street fair, but for the new Witches & Wizards Festival, the avenue will not be closed off to traffic. UPDATE: Festival activities have been revealed. There will be zombie dance parties, a costume parade, hay rides, "Mad Scientist" demonstrations, creepy crafts and an archery range. The evening before the festival, the popular bar crawl through the neighborhood will once again take place. The event has been updated and renamed the Brews & Broomsticks Pub Crawl. Tickets are currently available.